With Singapore’s flux and fickle nightlife institution, clubbing establishments continue to open and fold. Most short-lived clubs have literally “brought down the house”. But new ones are still rising from the ashes. And Wan Nightclub is one of them. Yet, this fresh face offers much more than that. So what is Wan? For the non-Mandarin-speaking revellers, Wan invokes three homonyms in Chinese — Play, Night and Bowl (which, of course, identifies with ‘food’), according to Adam Tie, the marketing manager of Wan. As the convoying buzzwords suggest, it is a shrewd venture which combines a bar, nightclub and restaurant into one. This multi-faceted concept, similar to the new Lavo Singapore atop Marina Bay Sands, is the way to go if nightlife haunts want to stay on top and survive. But unlike Lavo, which is vastly Italian-American-influenced, Wan has a penchant for all things Asian. 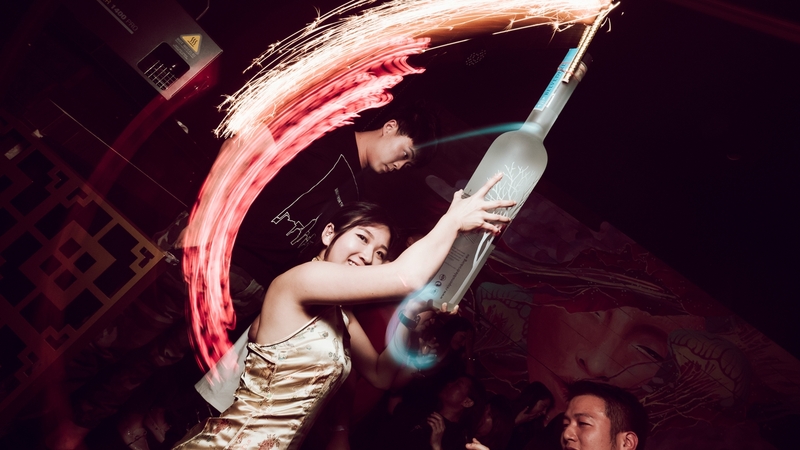 It wants to be the after-dark “Asian Utopian”. Located at central Singapore’s Suntec City, Wan invites party-goers to first congregate at the outdoor meeting area for a pre-clubbing meal. Dishes are heavily inspired by perennial local favourites, such as Hokkien mee and fried mantous. Wan has also given one of Singapore’s most beloved everyday drinks a wayward twist. Its spiked bubble tea may just be as highly sought after as the traditional alcohol-free kind. After the Asian-esque apéritifs, venture into the equally oriental but also aquatic-themed Wan Nightclub. There’s the centrepiece:­ An LED-lit ecosystem bar with illuminating jellyfish. Then there’s a stunning mural of koi and coral, hand-painted by local artist Aeropalmics. Garish as it may be, but the lighting-and-music synchronised oriental lanterns could be a crowd pleaser. Wan Nightclub is hosting an official launch party on the weekend of February 9-10, 2018. Catch South Korean DJ Flash Finger on Friday and Belgium duo, Wolfpack, on Saturday. So, the main question now is: Do we need another nightclub in Singapore? The answer is: We may not need it, but we sure Wan it.